It's International Tea Day. No, I didn't know there was such a thing, either. But now I do it occurs to me, sitting here sipping my morning cuppa, that the humble char is actually quite significant. As an emblem of Britishness. 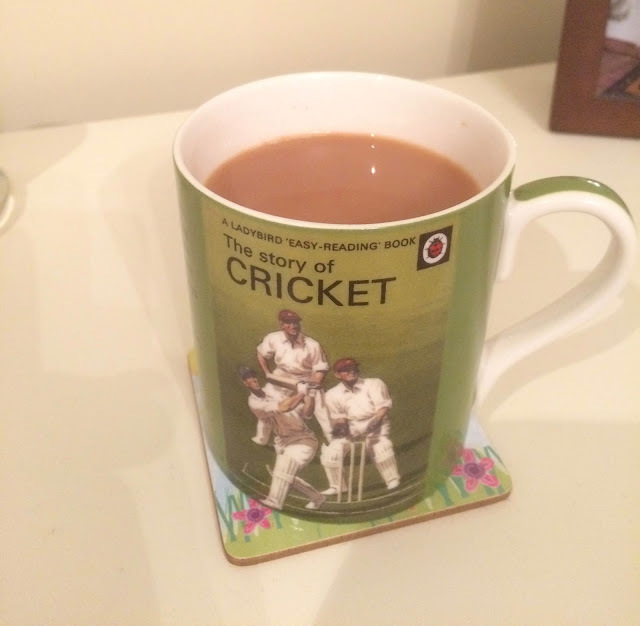 Our love of tea virtually defines us. We drink gallons of the stuff. There's a song about 'stopping for tea' and the tea-break has been a source of comfort to workers and strife for employers for centuries. But that blend of leaves infused in boiling water is a lot less British than you think. Tea can be 'China' or 'Indian' yet grown in Sri Lanka or Kenya. There's not a lot British about that! Or is there? Because at the end of the day that's what defines us as a nation, isn't it? Whether it's language (those terms like entrepreneur that the French haven't got a word for Mr President) or saints (Google St George if you don't know where he came from) or clothes or food (our national dish? chicken tikka masala, apparently) we seem to specialise in taking what's best from other cultures and celebrating and assimilating it. Britain traditionally seems to have made a virtue of diversity, not unity.